Alongside the Honor 7X, Huawei’s sub-brand Honor saw another launch in the form of the Honor WaterPlay. 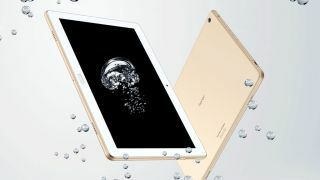 This new Android tablet features water resistance as one of the key selling points – a feature that is seldom found on Android tablets. Honor has priced it attractively, starting at a price of 1999 yuan or $303. Finding a good Android tablet that offers decent specs at a good price can be a little challenging. With the state of Android tablets over the last couple of years, it has become that much more difficult to find good options. However, the new Honor WaterPlay could be a good option if you’re looking for something that can withstand water spills - it features IP67 certification, which means it is water and dust resistant. Other features of the Honor WaterPlay include a big 10.1-inch QXGA resolution display (1920 x 1200 pixels), and Android 7.0 Nougat with EMUI 5.1 on top. It is powered by the same Kirin 659 processor that is present in the Honor 7X as well. This is coupled with 3GB or 4GB RAM and 32GB or 64GB of internal storage, along with support for microSD cards up to 256GB. Imaging duties are handled by an 8MP rear camera and an unspecified front camera. Another interesting addition is support for Harman Kardon audio for an enhanced experience. Honor has retained the 3.5mm audio jack to help you enjoy a rich audio experience using your existing pair of headphones. A fingerprint sensor is embedded in the home button, while connectivity duties are handled by Wi-Fi ac, Bluetooth, GPS and a USB Type C port. The Honor WaterPlay also comes in a 4G LTE variant, allowing you to connect to the internet on the go. The tablet is backed by a big 6660mAh battery, and Honor has included support for fast charging too. The Honor WaterPlay starts at 1999 yuan ($303) for the 3GB/32GB version, while the 4GB/64GB variant is priced at 2399 yuan ($365). Honor has also announced a 4G LTE variant which comes with 4GB/64GB memory, available at a price of 2699 yuan ($410). All the variants are currently up for pre-order in China, with the sale starting on October 24th.